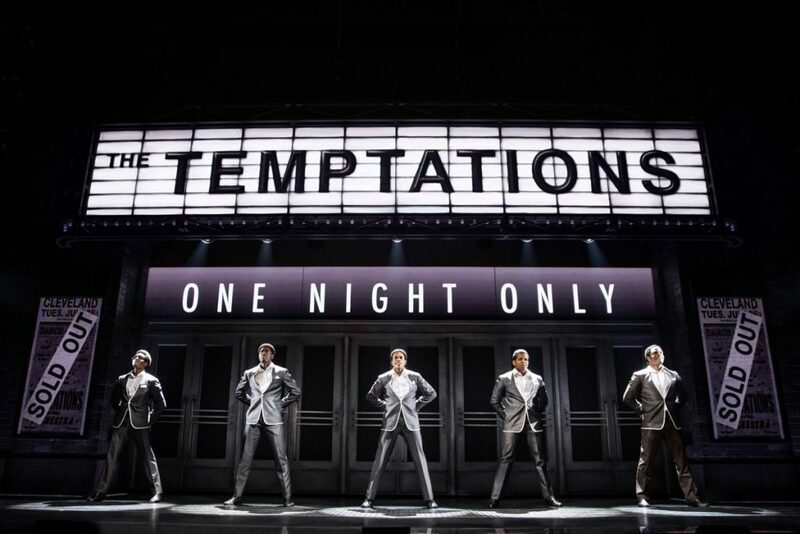 “Ain’t Too Proud” chronicles the story of The Temptations, set against Motown and the rise of crossover music on the radio. Now, with a show like “Ain’t Too Proud”, you simply can’t argue with the music. These are songs that are embedded in our brains and hearts, recalling memories of our lives. People in the audience tend to happily sing along with them. As the story is narrated by Otis Williams, (Derrick Baskin), the founding member and only surviving member of The Temptations, we learn about the early days of the group, the camaraderie, the in-fighting, inflated egos and personal issues. Although some of the original members drop off, the totality of “The Temps” survives. You definitely are rooting for the success of this group as it comes up from the ranks. The book by Dominique Morisseau could have been made a bit more concise, as the timeline of all the trials and tribulations of The Temptations can serve to be repetitive. But the performers are the star of this show, as they are all so darn talented. And the music will have you moving, cheering, singing and up on your feet. “Ain’t Too Proud” is directed by Des McAnuff, (who also directed “Summer, the Donna Summer Musical” and the iconic “Jersey Boys”) and is choreographed by the fabulous Sergio Trujillo. Two new plays open off-Broadway, providing insights into the creative process.